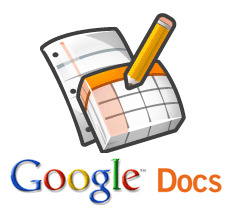 Google made an announcement early Monday that the iPad and Android Versions of Google Documents would be integrated with mobile editing feature. Confirmed reports from the search giant declared that the new feature would hit the App somewhere around next week or so. While reading the official statement, at first I just went through without noticing the biggie but not to be missed was Editable Google Documents coming to one of Apple’s most successful gadget, the iPad. For the official word, Google’s Enterprise President Dave Girouard posted on the official blog tagging the changes to be a major milestone for Google Apps. Girouard also added that almost 3 million businesses with a total of over 30 million users have switched to Google Apps Platform. Trust on Google’s products saw a rising trend which details the user choice level. The Google Atmosphere Cloud Computing Event held in Paris was utilized to showcase the editing capabilities on Google Docs for the Android as well as the iPad. Even though a preview was outlined, little updates on the feature was released. Today we demonstrated new mobile editing capabilities for Google Docs on the Android platform and the iPad. In the next few weeks, co-workers around the world will soon be able to co-edit files simultaneously from an even wider array of devices. With the release of the new feature for Google Docs specially adding support for Apple’s iPad users, Apple should get ready to register a competition against the iWork suite which has enjoyed high sales while maintaining rank on iPad App Store ‘Top Paid Apps’.